@LegitPancake although it is a very small reason (some may even say petty) when I got #37 signed at Kinokunya I asked for Sensei to addrsss it to me and add the date, when the person at YP took my card with my details they had their hand covering the part that sai date so he only signed it to me from him. So at NYCC the next day I bought another copy, #173 and had him sign it to me with the date. Here's mine, bit of a mess. Looks nice, I would share mine, but it's pretty much all books on Medicine so it's nowhere near as fun xD. I have most of my LNs on digital. @paulnamida Mine would just be a small stack of books in paper that I’ll donate when I’m done with them and a kindle and a nook, so yeah mine is not too impressive either. That said, I have a fair stack in digital. Oh, dear God. I've got enough books to start a library. 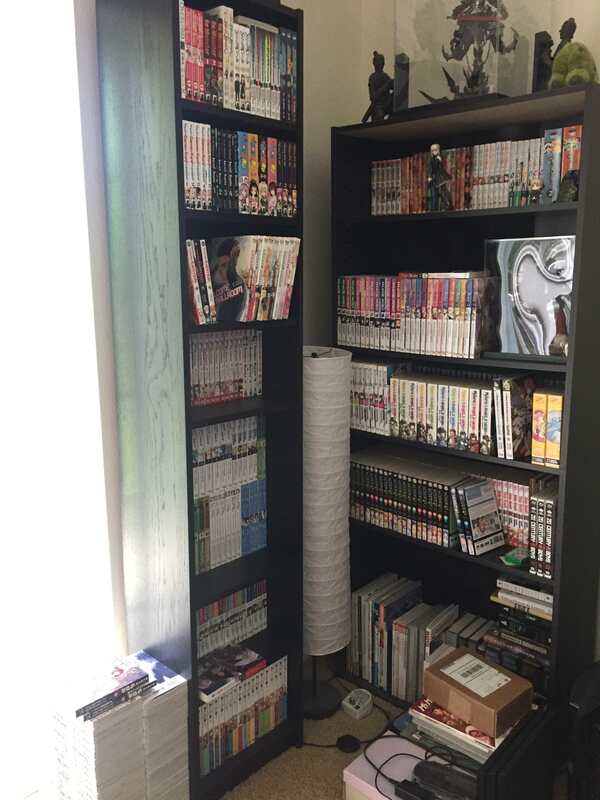 Two "standard" bookcases, and a homemade one that's double stacked with paperbacks. Wow, I thought I read a lot, but you have me beat :D There can't be many English print titles you're missing (except OOP or older YP series). 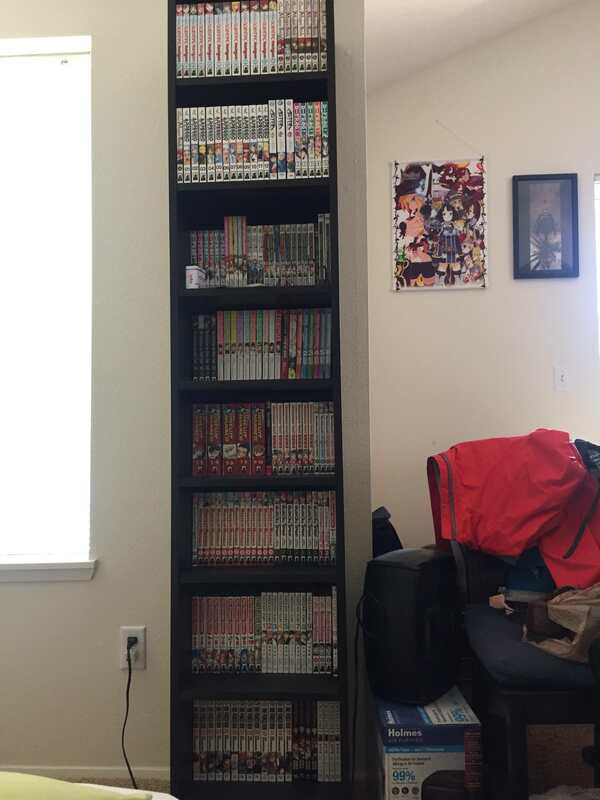 I'm sure you have a ton of JNC titles too. 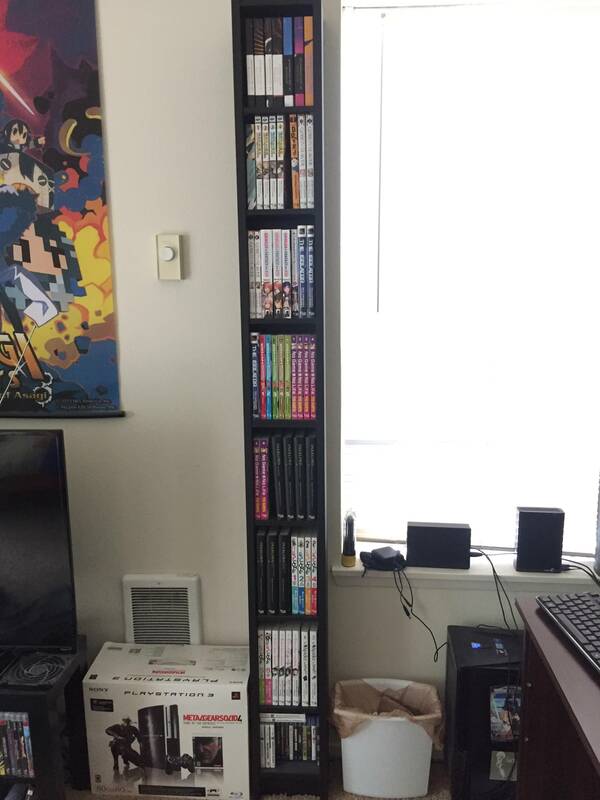 Just curious, why do you have duplicates of some series, like Seraph of the End and Rokka? Maybe it's just me, but it bothered me how YP did the spines of The Irregular at Magic High School. I wish they kept all of the arc sections the same color or at least matched them for each book in the arc, and why did they change the color of 7's to that dark blue? I know it's a small annoyance, but I wish they had kept them more uniform. I'm not sure if that was their choice or Japan's though. Also, fist pump to a fellow LOGH fan. Did you see the anime before reading the novels or are you starting with the novels? I started Log Horizon after i watched the anime so i kinda shot myself in foot there regarding story. 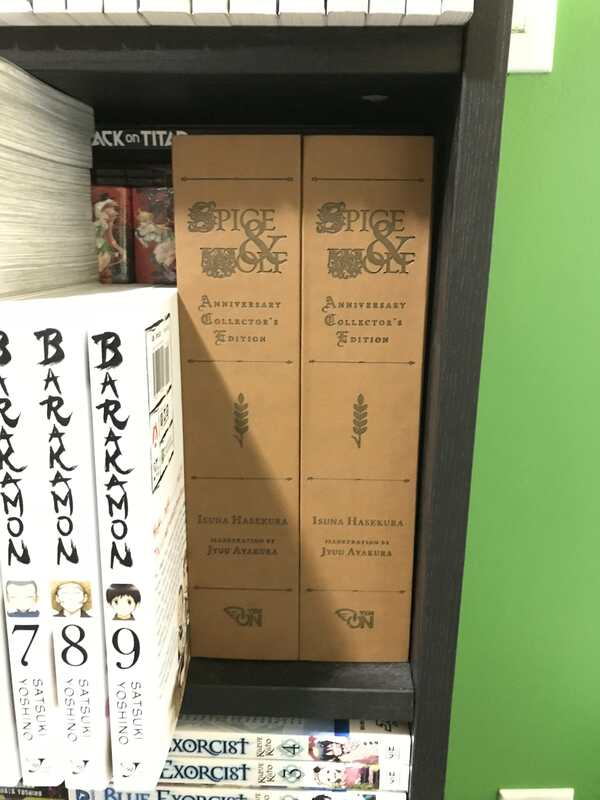 I actually only have doubles of S&W Collector's Edition, the Rokka and Seraph novels are just 1 of each volume currently published. @rahul-balaggan Oh oops, I didn't notice that you took a picture of the same shelf twice but just removed the front row of books. Sorry, I meant Legend of the Galactic Heroes when I said LOGH. So to reiterate, did you see the anime before reading the novels or are you starting with the novels? Kind of awkward since I'm in a studio, so can't do a dedicated bookshelf wall. I've gone almost 100% digital these days, the exceptions being when something isn't available digitally eg. Log Horizon, My Youth Romantic Comedy Is Wrong, As I Expected, Attack on Titan LNs etc. Kindle and Bookwalker are my primary reading platforms, and I can proudly say that I own every single LN released by Yen Press and JNC to date, sometimes even purchasing the same title twice since I couldn't resist picking up the physical copies of Grimgar, Arifureta and Clockwork Planet as well despite already having them on Kindle. 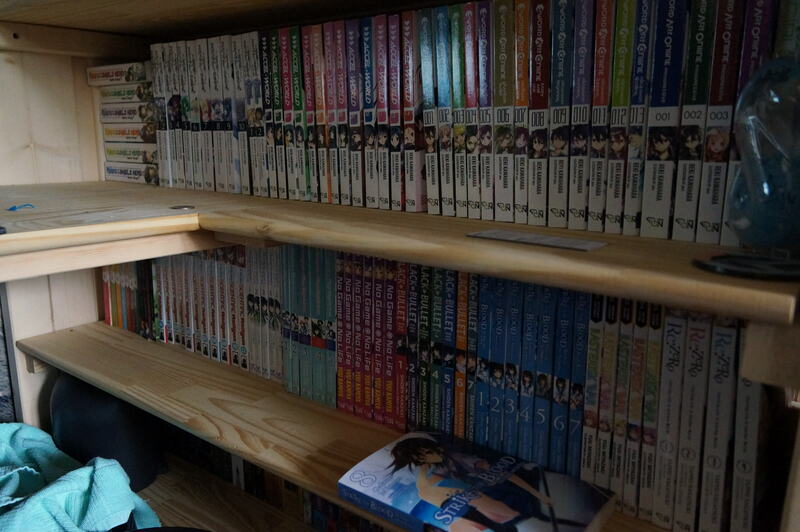 If we were to include manga as well though, then at last count I currently own 3,137 titles on Kindle and 718 on Bookwalker. 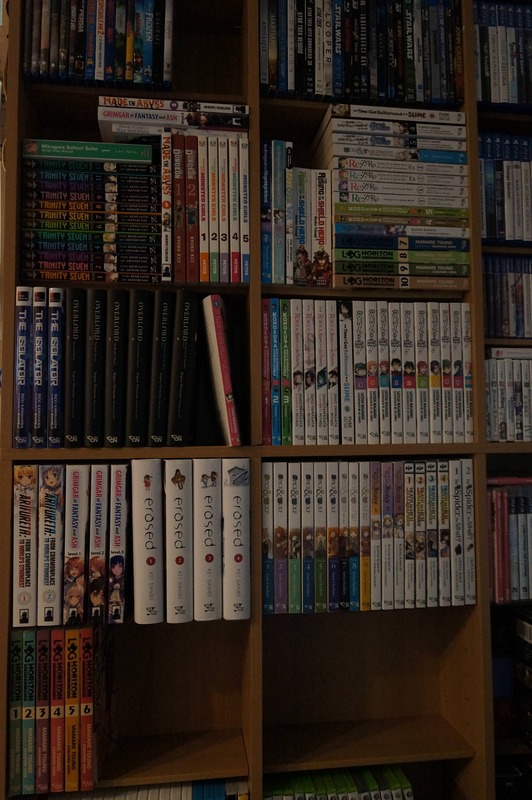 And if you can believe it, my physical manga/LN collection is roughly equivalent in size, which is why I eventually switched to digital due to storage concerns.